Sorry... the 2017 Toyota Tundra is no longer being sold as new. Instead, take the first step to a great deal on 2019 Toyota Tundra with a free price quote! 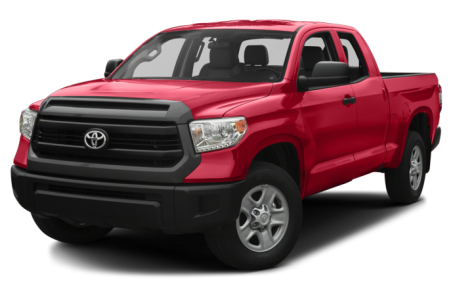 The Tundra is Toyota’s half-ton full-size pickup truck, available in three cab configurations, three cargo bed lengths, and with a choice of 4.6- or 5.7-liter gas V-8 engines and rear- or four-wheel drive. Body styles include two-door regular cab; four-door Double Cab with conventional rear doors; and four-door CrewMax with larger rear doors and a roomier rear seat. Available bed lengths are 5.6, 6.6 and 8 feet. Limited models gain power front bucket seats as standard. 83 of 86 (96%) consumers said they would recommend this vehicle to a friend.